I came across this image that I thought would be a perfect Spring & Summer men’s suede jacket outfit because it’s a great, casual everyday outfit that you can wear when you’re going out with friends or if you work in a casual work environment. It has the added benefit of being able to be dressed slightly up or down as well as layered depending on the weather. 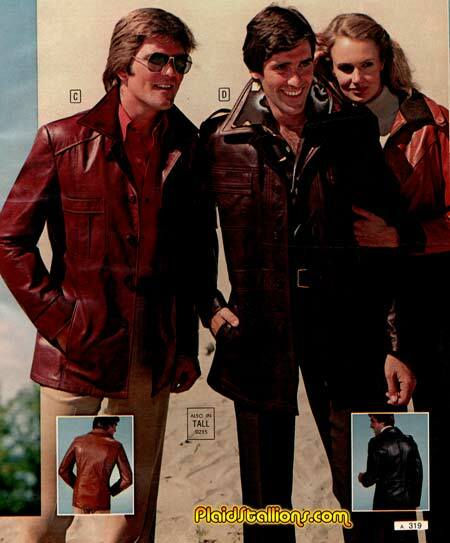 A suede jacket is perfect for Spring and Summer and will look great on every guy, regardless of age or body type. But if you’re not into suede, or like other styles, look no further than the Harrington jacket or a wool bomber jacket. The plaid shirt underneath the grey sweater can be switched out for your classic white or blue oxfords or other fun colors or patterns like navy and/or green plaid or gingham. On warmer days, you can ditch the crewneck sweater and just wear a collared shirt. As for chinos, Spring and Summer is when you pull these bad boys out or you can swap them for a pair of dark wash jeans as well. Make sure, that you know how either your chino pants should fit or how your jeans should fit, based on your body type. Lastly, the brown suede chukka boots in the image are great, but you can also swap them out for brown monkstraps or even white sneakers.